BY INVITATION ONLY. Only a select few make it onto the coveted guest list. 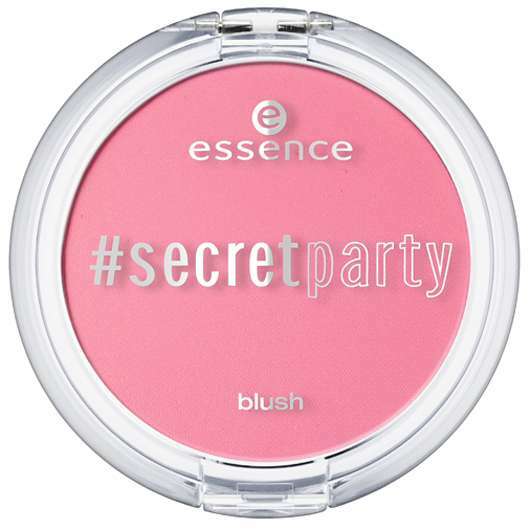 With the new trend edition “#secret party”, essence is celebrating the pool party of the year from May until June 2015. Cool drinks, great vibes and pink, inflatable flamingos and rubber rings ensure lots of party fun in the pool! 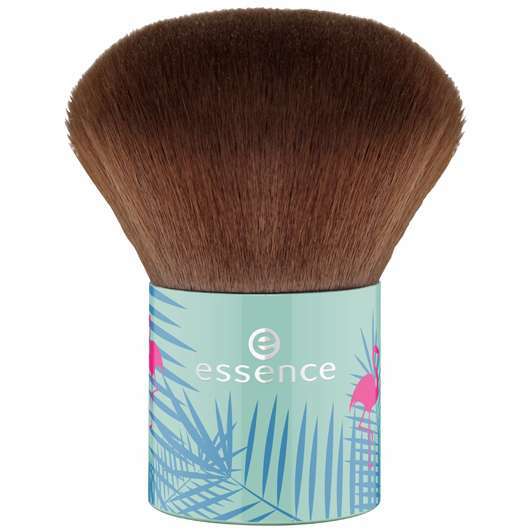 essence offers the matching style: summery bronzing products, light textures and a color scheme reminiscent of the Caribbean consisting of orange, pink, turquoise, mint and brown. Must-haves include the kabuki brush with exra-soft bristles and the body spray for a light cooling effect on your skin. The self-adhesive drink markers are a special highlight: thanks to the six beach motifs like the flamingo or the palm tree, it’s easy to find your glass! Shhhhh, there is a party! The two eyeshadows with a soft texture give your eyes a long-lasting finish with a subtle shimmer. Warm bronze and refreshing mint with a cute flamingo or a palm leaf embossment create a summery eye make-up look. Available in 01 glow of my life and 02 swimming pool to go. Pool and party… the semi-transparent lipgloss provides the lips with ultra-glossy results in a choice of bright pink or orange. Thanks to the light tint-effect, this look can even handle a refreshing dive into the pool. Available in 01 pink up your life and 02 keep calm and party on. Fun in the sun! The blush conjures-up a gorgeous, summery look in warm pink on your cheeks. 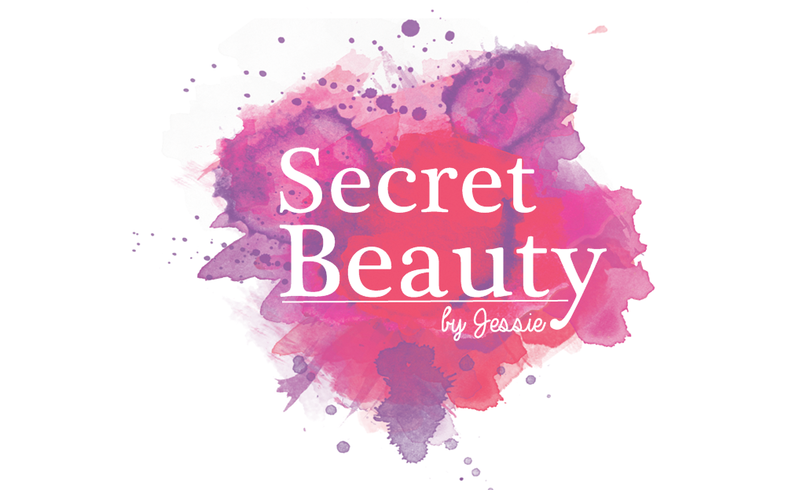 Its silky powder texture is easy to blend and feels wonderfully pleasant on your skin. Available in 01 pink up your life. Got tan? The matt, dark bronzing powder is combined with a lighter part with subtle shimmer pigments to create a naturally sun-kissed complexion. The cute flip-flop embossment turns this micro-fine powder into a true eye-catcher. Available in 01 glow of my life. Too cool for pool? A flawless complexion is a must at every summer party! The ultra-soft and supple kabuki brush isn’t just ideal for the bronzing powder or blush; it harmonizes with any powder – no matter whether loose or compact. Available in 01 brush-tastic. Color splash… the long-lasting nail polishes give your nails a high-shine, gel-like finish in soft green, aquatic blue, bright pink or bold orange. Perfect eye-catching colors for your hands and feet! Available in 01 swimming pool to go, 02 too pool for school, 03 pink up your life and 04 keep calm and party on. Pool bo(d)y! A small refreshment to keep you going is always a good thing. The light spray quickly cools down your face and body, doesn’t leave any residues behind and has a lovely fragrance, too. Available in 01 splish splash. My drink! It’s easy to lose your glass while you’re dancing, splashing around in the pool or relaxing in the sun. But that’s not a problem with these ultra-cool drink markers: the six bright, transparent and self-adhesive silicone stickers help you recognize your glass amongst all the others. Simply stick one of the six funny motifs like the flamingo, palm tree or sunglasses on your glass to mark it as yours! Available in 01 don't drink and dive. Beauty-hideout! The transparent cosmetics bag with a neon pink zipper keeps all your essential beauty products for the pool party together in one place! The material can withstand small splashes of water, so your it-pieces are perfectly protected. Available in 01 my friend has a swimming pool. 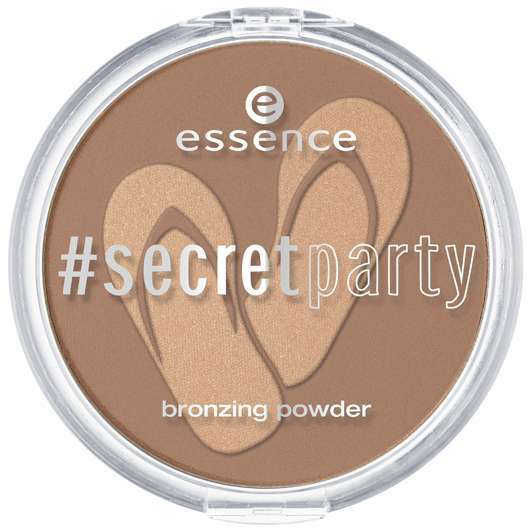 essence “#secret party” will be available in stores from May until June 2015**.